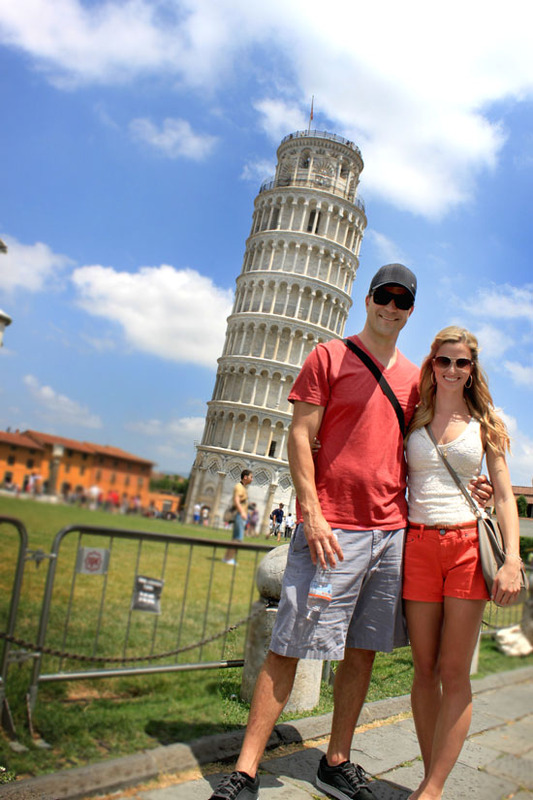 On our way to Florence, we stopped in Pisa to see the Leaning Tower. I mean, we had to. It's one of those iconic world landmarks, that everyone has to get their picture taken in front of. 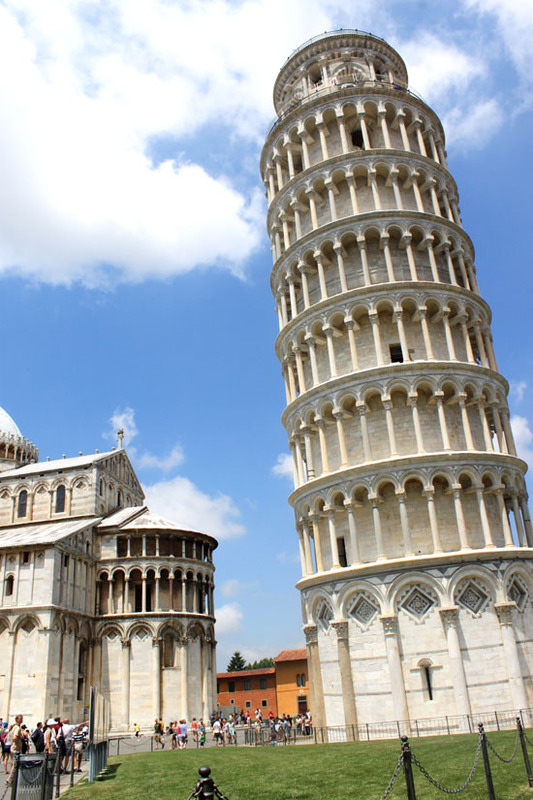 The Leaning Tower has an interesting history. Jogging from memory here from my Rick Steve's book, someone said to the original architect, "Is it just me, or does that look crooked?" Little did they know, the land that they decided to build the tower on was not strong enough to support the weight of the tower, so it continued to sink. It didn't really matter though because they continued to build before construction was halted after the third level. Over the course of 177 years, several architects and builders tried to correct the issue to little avail. Finally in the 90's after the tower was deemed unsafe, serious efforts were put into correcting the issue. 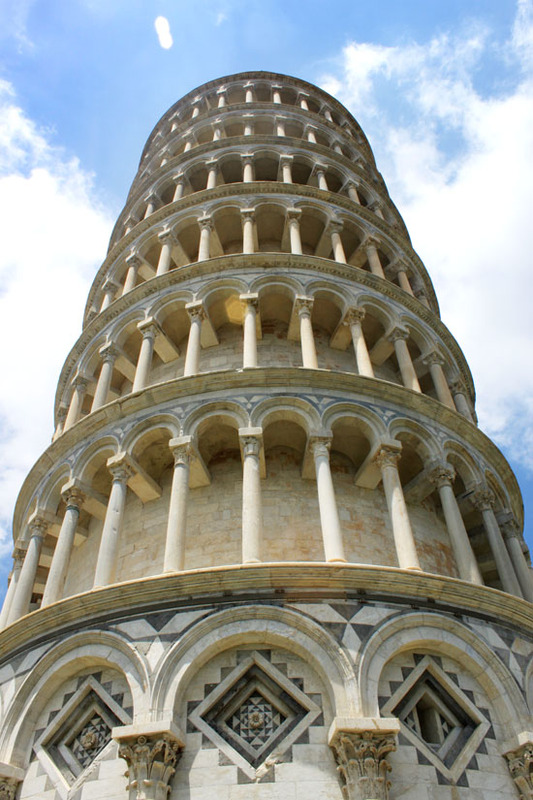 And thirty million dollars later,we have what the Leaning of Tower of Pisa is today, with the original 18 foot lean. They say that the condition it is in, would be quite similar to when it was when originally built in the 12th Century. Even better actually. It's funny how the original architect's mistake, made this one of the world's greatest iconic landmarks. You have such beautiful pictures!! And the cutest outfits ever! Katie your photos could be published they are so beautiful!! love them and you! 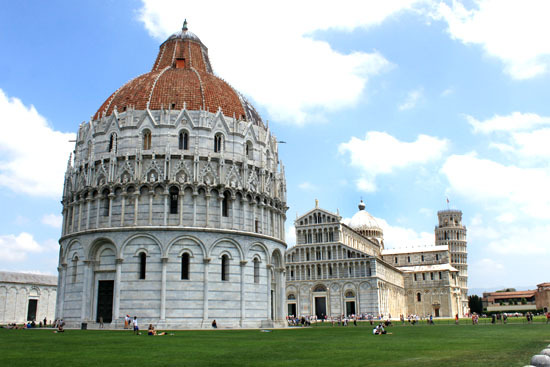 i've always wanted to visit pisa! looks GORGEOUS! love these pics!! I've always wanted to visit pisa!! One day! haha you look gorgeous! where is your bag from? beautiful blog! just stumbled upon it and love these photos and your style! Wow!! So cool! Makes me want to go! You and the hubster looking fab, as always. 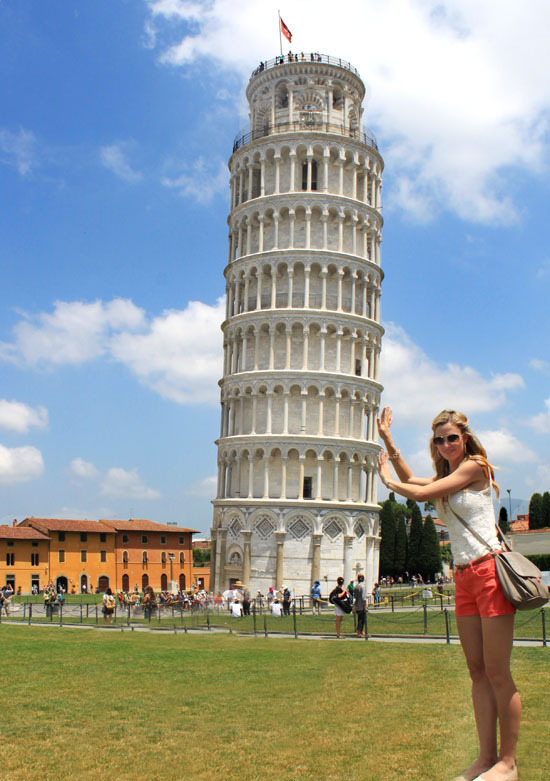 Eek, we will be visiting the Leaning Tower of Pisa in August and your photos just made me so happy! 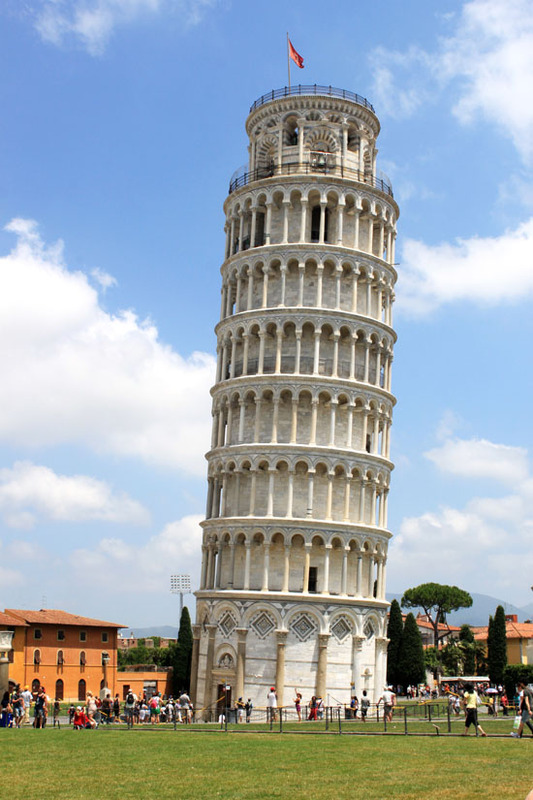 Such an interesting history on the Leaning Tower of Pisa that I didn't know about! Thanks for sharing! oh, i've always wanted to go there. it's quite a beautiful building. Check out my interview with Janalyn from August Wrinkle! Ahhh I wanna go there so bad!!! What a wonderful trip you are having. I would love to see that someday.